Current representative: The current representative for the 87th District is Rep. Julie Calley (R-Portland). The district features Barry County and a portion of Ionia County, including the city of Portland. Calley spent 10 years in real estate management, according to her official House biography. The biography also says Calley was elected as an Ionia County Commissioner where she served for eight years, leading the board as chairperson for three years. She is the wife of Lt. Gov. Brian Calley. She is vice chair of the House Elections and Ethics Committee and a member of the Transportation and Infrastructure Committee, the Health Policy Committee and the Agriculture Committee . A map of the 87th District is available here. 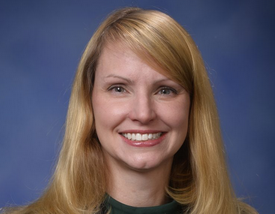 Rep. Calley raises money through a House candidate committee, Committee to Elect Julie Calley.